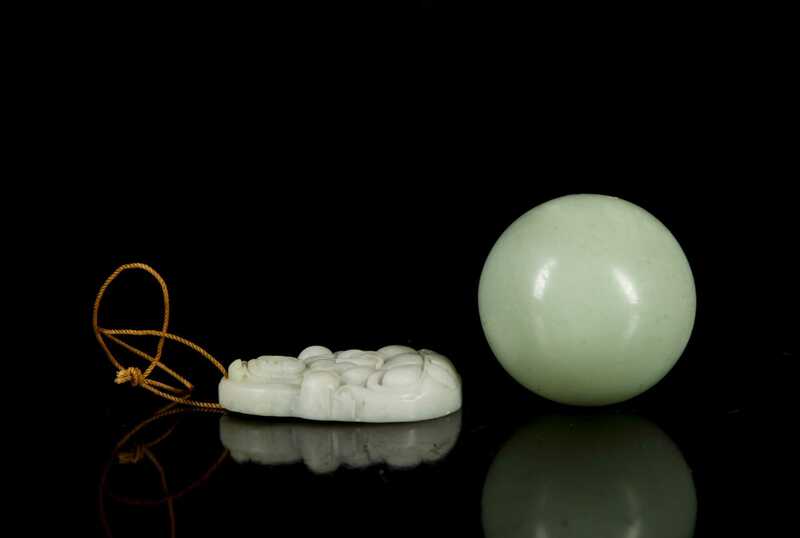 Two Chinese Carved Jade Pieces, A) Pale green jade carving depicting a seated Buddha, 1 3/4" tall, hole in top for wearing. 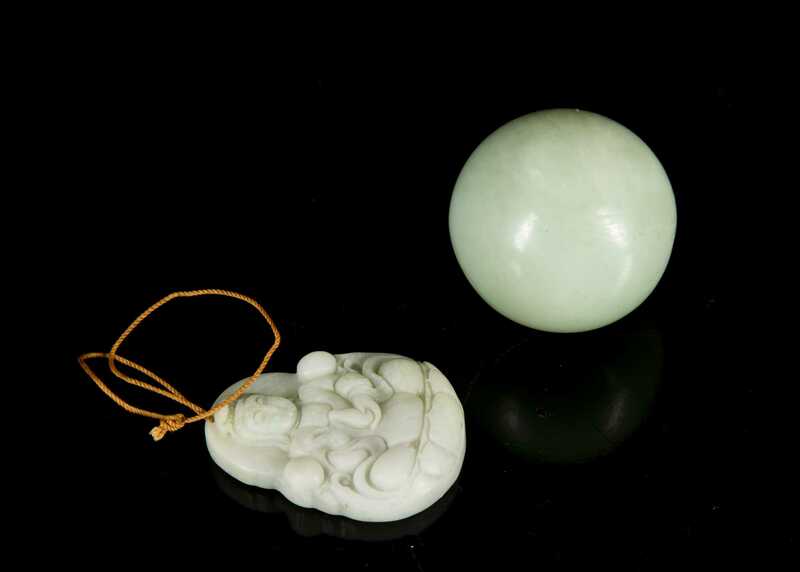 B) Light green jade carved ball, 1 1/2" diameter, small area of white veining, good quality. 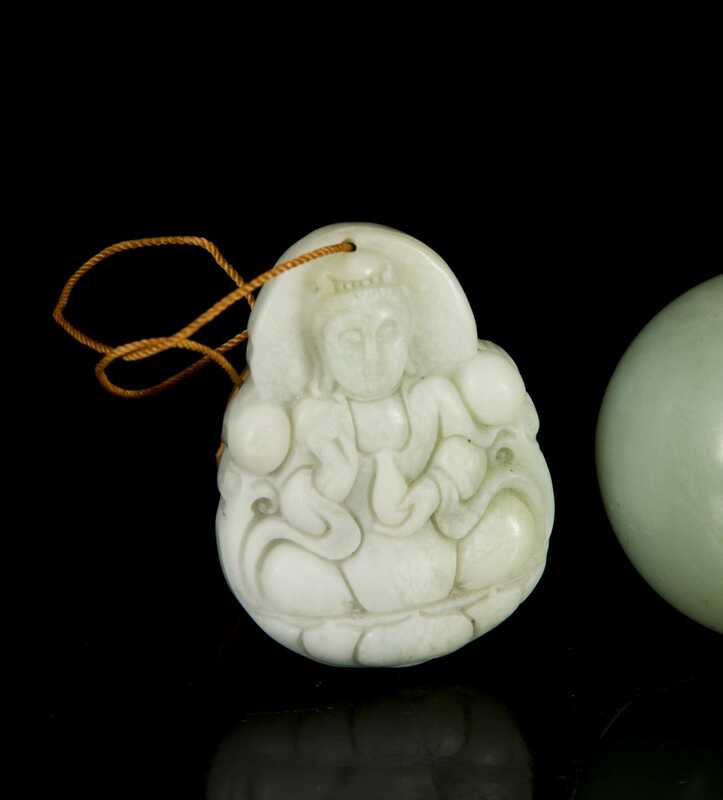 Both probably 20thC.